Eric Sturm (left), director of survey, and Shane Zodrow, assistant director of survey, at raSmith. 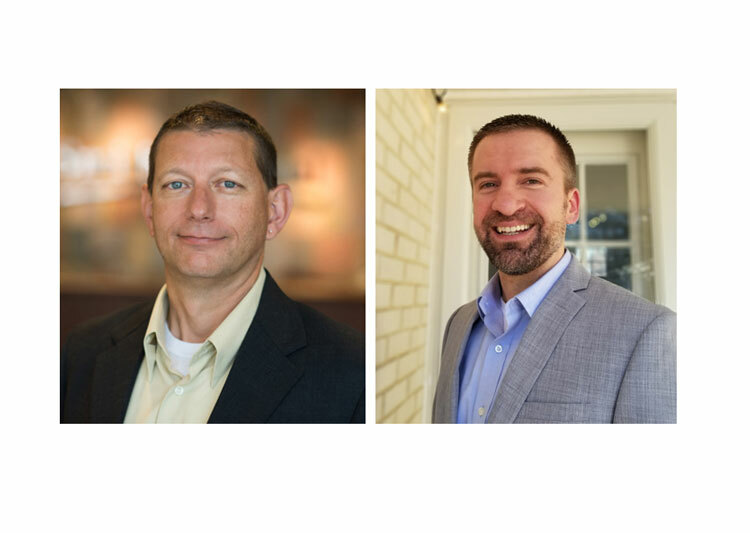 Brookfield, Wis. — raSmith promoted two employees to leadership positions in the survey division of its Brookfield, Wis. office. Eric Sturm has received a promotion from assistant director of survey to director of survey as Paul Taivalkoski, former director, transitions into retirement in May. Shane Zodrow has been promoted from survey project manager to assistant director of survey. Eric Sturm, director of survey, has more than 30 years of experience in land surveying, 23 of which have been with raSmith. He plans and supervises the survey tasks for the design and development of a variety of projects for land development and state and local government infrastructure projects. Sturm oversees a staff of 33 employees. He manages multiple projects including coordinating with design engineers, field crews and drafting technicians; handling client communications; and providing quality control. His survey experience includes preparing numerous subdivision, condominium and right-of-way plats, annexation, rezoning, Certified Survey Maps, easement exhibits, ALTA/NSPS Land Title surveys, topographic maps and legal descriptions. Sturm obtained an associate’s degree from Northeast Wisconsin Technical College, Green Bay, Wis. He holds registrations as a professional land surveyor in Wisconsin and Illinois. Shane Zodrow, assistant director of survey services, has more than 15 years of experience in land surveying and engineering, nine of which have been with raSmith. His field and office experience includes areas such as computer aided drafting, surveying, construction layout, engineering design, construction inspection, unmanned aircraft systems (drones), LiDAR scanning and 3D modeling for construction. His survey project experience also includes boundary, ALTA/NSPS Land Title, land subdivision, certified survey maps, easement/property exhibits, legal descriptions, topographic, engineering, as-built, construction staking, electric/gas utility, hydraulic and right-of-way surveys on infrastructure projects ranging from small site developments to freeway interchange megaprojects. Zodrow obtained a bachelor’s degree in civil engineering from the University of Wisconsin-Milwaukee. He holds registrations as a professional land surveyor and a professional engineer in Wisconsin. Zodrow is also an adjunct instructor at the UWM School of Continuing Education. raSmith opens new office in Village of Mount Pleasant, Wis. If you could easily associate application use to individual projects, would you?